With a holiday right around the corner it might be a good idea to bone up on your grilling skills, but beef patties are so passé. 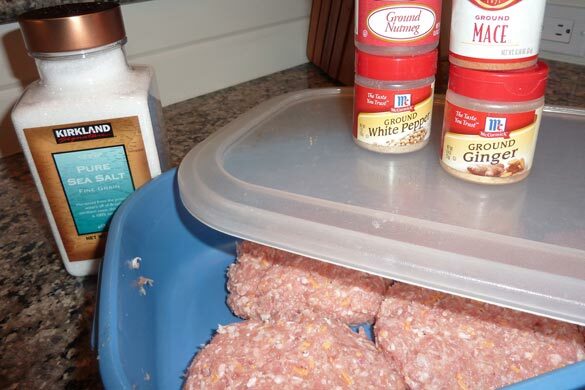 Enjoy the warm summer evenings and grill yourself a burger made with pork and sharp cheddar. It tastes like a bratwurst (but without all that grease). Serve it on a whole-wheat bun piled high with cole slaw, crack a Belgian beer, and call it a night. In a large bowl, lightly beat one egg. Add 1/4 cup milk, 1/4 cup grated sharp cheddar cheese, 3/4 teaspoon salt, 1/2 teaspoon white pepper, 1/2 teaspoon ground mace, 1/2 teaspoon nutmeg, 1/8 teaspoon ginger and mix. Add 1 ½ pounds of ground pork, and knead until well blended. Form five nice fat patties and refrigerate for at least one hour. 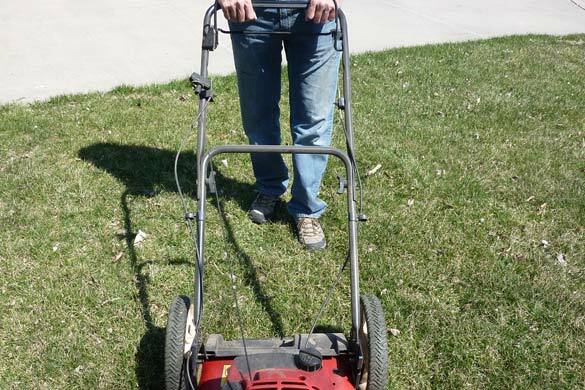 Get a jump on Saturday’s chores by cutting the grass while you wait—it counts as a workout, too! Heat your grill to medium flames and grill for 10 minutes. Flip and grill for another 10 minutes. The internal temperature should reach 160 degrees. A special beer calls for my cool John Lennon glass. 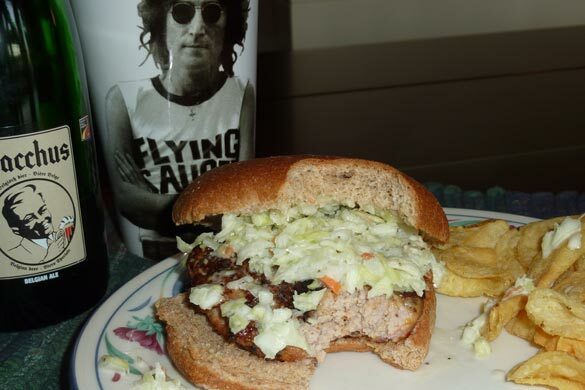 Chow down on these bratburgers and start your weekend!